The Specialized Sirrus Sport is a partner you can seriously count on, helping you push yourself towards your fitness goals. 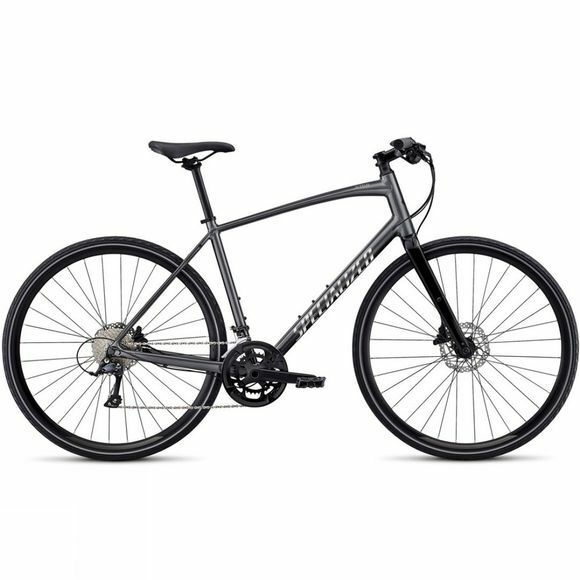 It is constructed from a durable, reliable, and lightweight A1 SL Premium Aluminium and features an assortment of incredible components, including a Shimano Sora rear derailleur which provides effortless shifting capabilities from the leading manufacturers in their field. Powerful Tektro hydraulic disc brakes are sure to give you all the stopping power you need, and with an array of proven Body Geometry components, like the grips and saddle, that have been designed for the perfect balance of comfort and performance, you will have a bike that is always ready to go when it comes time to sweat.